Maintaining a wood furnace is not only easy, but it's necessary to ensure your investment will last. Let's face it, an outdoor wood furnace is expensive. The initial startup cost can be around $5000-$7000 depending on the model you choose. Don't let that number scare you. A wood furnace is a long term investment. After around 3 or 4 years (depending on your original yearly heating costs) your wood furnace will have paid for itself. Then, each and every year after that you'll be heating your home for a fraction of the cost. 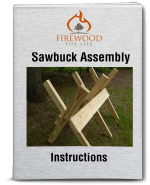 You should always follow the manufacturers recommendations for any maintenance to the wood furnace. In general they are pretty easy to take care of. 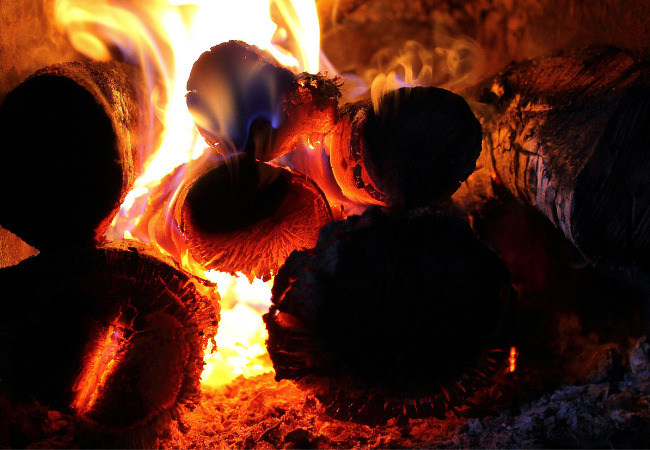 Here are a few tips and suggestions for maintaining a wood furnace. Clean Out - The firebox on the furnace will fill with ashes that pack tightly on the inside. Depending on how much wood you are burning, the unit generally needs to be cleaned out at least once a month, sometimes more. Some units come with a built in auger system that uses an auger to remove the ashes. I personally have never used an auger system before but I have heard that the auger tends to just remove the ashes around the auger and misses the ashes stuck to the sides. When it's time for a clean out let the fire burn down to just a few hot coals. Then take a shovel and move all the hot coals to one side of the firebox. Next, scoop the ashes out and place them in a metal garbage can. Once you have one side of the firebox cleaned, take the hot coals and push them to the other side of the firebox. Now, remove all the remaining ashes. When your done, you will have a firebox free of ashes and still have a few remaining hot coals to easily restart your fire. By placing all the ashes in a metal garbage container they will safely cool and in a few days you can spread them in your garden or any other place you want! A clean out can be messy due to the amount of ashes in the air. Wearing a dust mask will help keep the dust out of your nose and mouth. Also watch the wind direction to help keep you clean. Water Treatment - The water inside the unit will need to be treated to prevent corrosion. Untreated water will significantly reduce how long your unit will last. Water treatment is sold by a lot of different companies. I prefer a water treatment that is tinted. You add the tinted treatment until the water inside the unit has a similar tint to it. Once you see the color in the water you're done. Just keep an eye on the color of the water and add more treatment when necessary. Other treatments will work too. They require the use of test kits to ensure the water is treated properly. Deciding which treatment method to use it up to you and is mainly just a matter of preference. No matter which treatment you use, make sure the water is properly treated. Also, make sure you keep enough water inside your unit to prevent damage. The furnace should have a water check gauge on it that makes checking the water level easy. I check the water every day and it only takes a few seconds. Anode Rod - Most units will have an anode rod which is accessible on the top of the furnace. The anode rod is used to prevent rust and corrosion inside the water jacket. The rust and corrosion will attack the anode rod first, sparring the water jacket. Anode rods are commonly used in water heaters and serve the same purpose, to extend the life of the unit. Check the anode rod at least once a year. I like to check mine at the beginning and end of the year to ensure the rod is still in good shape. It's not uncommon to check the rod and find it has been completely eaten away and needs to be replaced. Replacing the rod is easy. Just remove it from the unit and replace it with a new one. The last rod I purchased retailed for around $50. 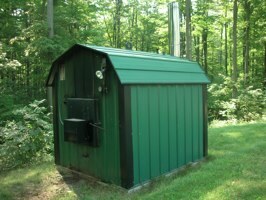 These are just a few basics steps to consider when buying or using an outdoor wood furnace. They only take a few minutes to complete but they are vital to keeping the unit in good working condition.